We use two different transport companies to get our adopted dogs to their homes. Our East Coast adopters are serviced with Alpha Dog. and our Midwest adopters are serviced through Road Home Pet Transport. All dogs receive a specific health certificate from a veterinarian after a thorough health exam. That health certificate is required for a dog to travel. We prepay transport costs, so there is no need for you to pay them directly. For those living along the Road Home Transport route, Andy Tomasko will be bringing your dogs to you. He works on his route and depending upon how many dogs, and were the dogs are located along his route, his arrival times from week to week can vary. He will send out a schedule on Monday of the transport week, letting you know where and when you will be meeting him. 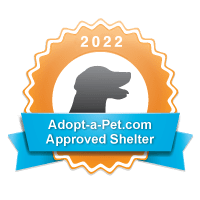 Andy is safe and reliable with over 1000 dogs delivered since 2008. Visit his Facebook page today! For those living along the Alpha Dog transport route, the Alpha Dog team has designated stops along their route which are designated on their website. Alpha Dog is a group of rescue volunteers who have been saving dogs for 17 years. The dogs are walked every 4 hours during the day, and fed food for their specific needs, such as those with sensitive stomachs. Water is constantly available to the dogs during the whole trip. Their trailer has A/C, heat and ventilation. They monitor the temperature of the trailer, during the entire trip, and adjust as needed. For more information about Alpha Dog, visit their website!